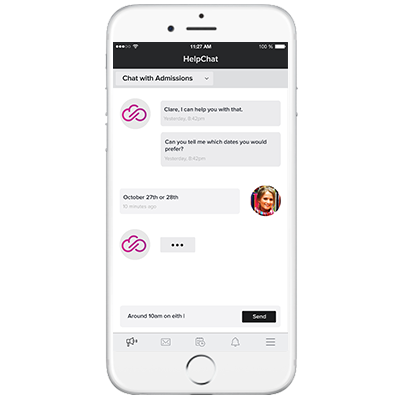 Helpchat is a completely web based help desk solution that has powerful features to meet the demands of institutions of any size. With Helpchat institutions can offer customers several options to help them get their issues resolved quickly. They can open tickets from the customer portal, browse the support articles in the knowledge base for self-service, create tickets automatically by sending you an email and even chat with you live online. Tickets can be created by customers and technicians from the web interface and from incoming emails. Supports file attachments and tracks all actions in the ticket history. Create multiple customer portals to support an unlimited number of departments or companies. Each portal can have its own logos and settings. Provide self-help to your customers by providing FAQs thus reducing the number of support tickets. Accurately track the time spent on tasks. With an unlimited number of entries, employees can enter the time down to the second. Track billable work and generate invoices of your customers.